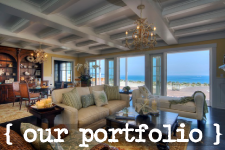 You will usually find a coastal home playing host to a wide, varying range of textures. Many of these textures come from the natural style furniture and accessories that are used in the design style. They directly reflect the ocean and coastal life, so naturally, they are incorporated into the home. We’ve combed through our online web store to put together a fun little coastal texture guide. It’s an easy way to get your toes wet before jumping right into online shopping! If you like what you see feel free to browse more Tuvalu Home here. And if you see something specific you like in our coastal texture guide all of the products are listed below with direct links! Feel free to click away! 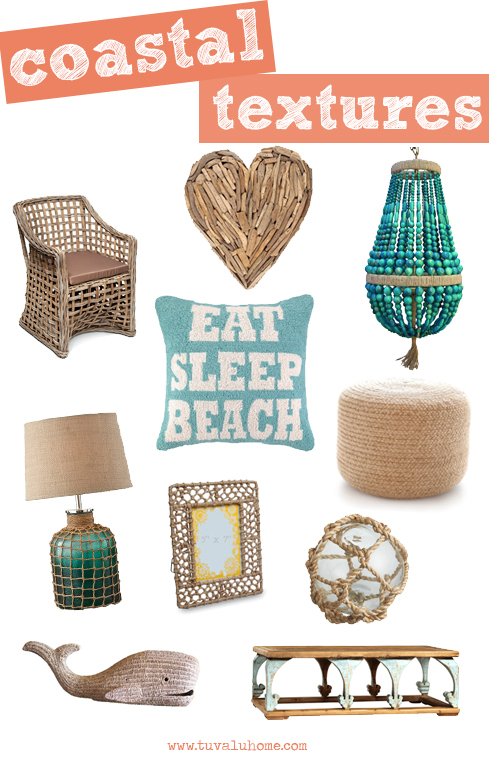 Love these, especially the “eat sleep beach” pillow! Makes me long for a beach vacation!